It is this gentle freefall feeling, the misty atmosphere that washes all around—the thick warm waves of synth curling like clouds and fluttering with energetic pulse, the twinkling simple melodies pinging off into the starry distance of the song, the nocturnal feeling of abiding loneliness, a strange comfortable longing, the feeling of a break-up yet still being in love, sprinklings of pinprick hope scattered on the melancholy majesty of the soft chords. London-based producer Imad Salhi aka ims crafts this vessel of emotive sound with not just a certain optimism in the sound, but in the rhythm, the shuffle of the beat, the gloopsome robust bass groove: in the hopeful bounce of it all. 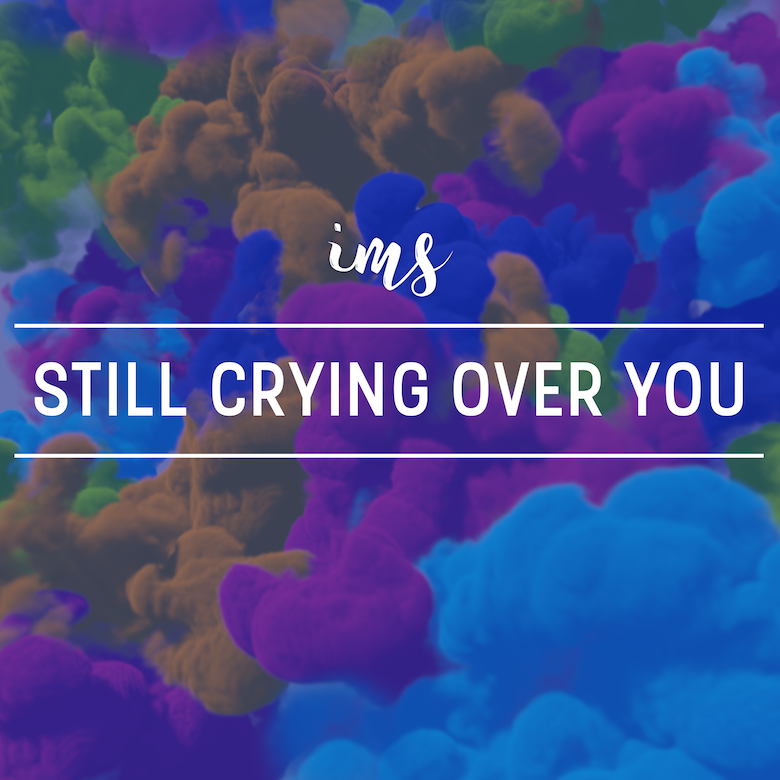 "The track was inspired by a conversation with a friend, as she shared her plans to win her boyfriend back," explained ims. "The energy of the song comes from her eagerness, whilst the melancholic feel reflects her despair." Lithuanian singer ievaDeli provides vocals that reflect the feeling of the song, crooning with doubt and ache in the verses, whilst in pre-hook parts her voice raises up, beginning to soar and take flight, bright and positive. Still there is uncertainty, in the synth vox that bubbles as the hook, in their wordless worry the sounds are cyclical, the way internal anxiety and sadness create circles that sometimes feel unbreakable. Yet glimmers of goodness are the mainstay of 'Still Crying Over You', suggesting that a positive outlook on life means everything. 🔔 You can download 'Still Crying On My Own' over here if that is what you desire.